Home / Blog / Are You Really Warming Up? Are You Really Warming Up? Performing eight to ten bodyweight exercises before your training session is more productive than warming up using a treadmill or elliptical before exercise. From a movement and biomechanical point of view, a dynamic warm-up will aim to work in three dimensions, vs the singular plane of motion that walking on a treadmill encourages. …any morning and the first thing you’ll notice is usually the slight humming of treadmill belts looping, and the *tap*tap*tap* of early morning runners getting after it. Talk to the front desk receptionist, and you find out that some of the gym members were there before 5am. “Why such an early workout time?” you ask. If you talk to a few of them, and ask them how they warmed up, they’ll usually respond with “Jogging,” “light stretching,” or there is no warm-up performed at all. Is this the usual, or is there a more efficient way to “warm-up”? What Makes This Warm-Up “Dynamic”? The fact of the matter is that simply running or walking to warm-up before any training session could be improved to including a bodyweight warm-up. To distinguish between a warm up on the treadmill, let’s call this a “dynamic warm-up”, which indicates that you’ll be moving through certain ranges of motion involving various mobility (think flexibility) and stability (think activating core muscles) exercises. Synovial fluid is heated up and flows better within the affected joints. Increases in stability by activating various muscles in multiple planes, as opposed to just the lower body during treadmill running/walking. Increase in sensitivity of the nerve receptors. How long is your commute to work (and do you drive)? When you go to work, do you sit down a lot? When you get home, do you sit down to watch TV? Do you drive to the gym? When you go to the gym, do you do a lot of abdominal crunches? The reason I ask these questions is due to the fact that over a period of time, our muscles become accustomed to certain lengths and postures. If you are constantly in a certain posture, such as sitting down, you may need more or less mobility and stability in certain joints before warming up, to “counter-act” the large amounts of time spent in this posture. With that being said, try these exercises before you workout, take a look at the video below for detailed instruction. If you’re not yet convinced, give this a quick routine a try as an “experiment” for at least 4 weeks… Note what you places feel tight, and what places are sore, and then see how you feel after those initial 4 weeks! Essentially, there should be a given amount of time before you see any adaptations – in this case it is only 4 weeks of your time (at around 5 minutes every day you exercise… So only 20 minutes if you exercise 4 times a week!). 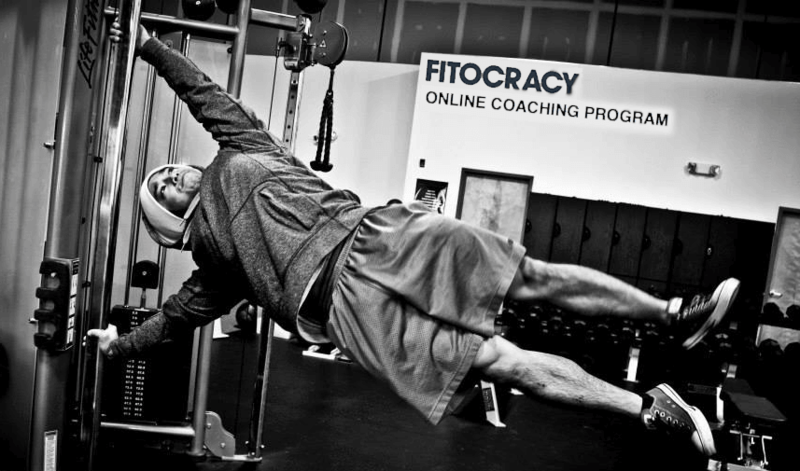 Bodyweight Training: The Internal Strength! Only 8 spots remaining as of Sunday, July 27! 1 – Shellock, Frank G., and William E. Prentice. “Warming-up and stretching for improved physical performance and prevention of sports-related injuries.”Sports Medicine 2.4 (1985): 267-278. 2 – Bishop, David. “Warm up I.” Sports Medicine 33.6 (2003): 439-454. Warm-Up – Is It Really Worth It? What Are You Doubling Down On?